Sekiro: Shadows Die Twice Hits 2 Million Copies Sold | Nerd Much? Whether the industry as a whole deems the game too difficult or not, fans are gobbling it up. Activision and FromSoftware have announced today that Sekiro: Shadows Die Twice is officially hit. The duo have confirmed the game has crossed over 2 million copies sold. There are a bunch of impressive stats the developer and publisher have dropped in today’s braggadocios press release. Attached to the Sekiro copies sold figure of 2 million in 10 days, it’s also mentioned that the game was the number one viewed title on Twitch on March 22nd when it released. It’s also noted that 631 million minutes of gameplay was watched on Twitch throughout Sekiro’s debut weekend. That number continued to rise, eventually marking 1.1 billion minutes watch on Twitch during the course of the entire launch week. 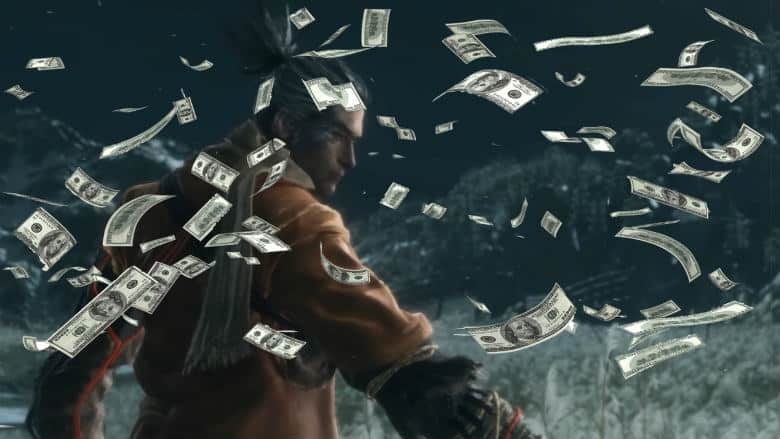 It’s not just the fans who should be thanked for the 2 million Sekiro copies sold. The critics around the globe fell in love with the game too. The game was awarded Metacritic’s Must Play Award and sits at an fantastic MetaScore of 91 on Xbox One, 90 on PC and PlayStation 4. Perhaps FromSoftware only gets better from from here. There’s rumors of a project they’re working on with with Game of Thrones creator George R.R. Martin. With the game launched and 2 million Sekiro copies sold, perhaps we’ll see their future at E3.